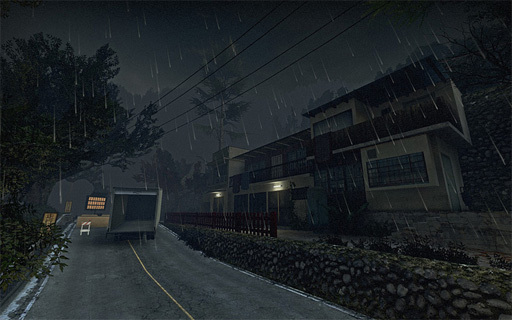 An epic Left 4 Dead project, made of so much custom content, deserves all the hype it can get. Unlike so many Japanese-themed FPS maps, this actually kinda looks authentically like Japan -- the author, Mark Edwards, clearly did his research -- and it's all pretty haunting if you think about the freakish chain of cataclysmic disaster that has swept Japan this year. Every empire is paranoid of its sunset, but the familiar real-life narrative of a shrinking population grants the setting some additional power. It's a rare digital survey of Japanese civilization: from city to countryside to castle. Watch out for l4d_yama, people. The beta's hitting soon.